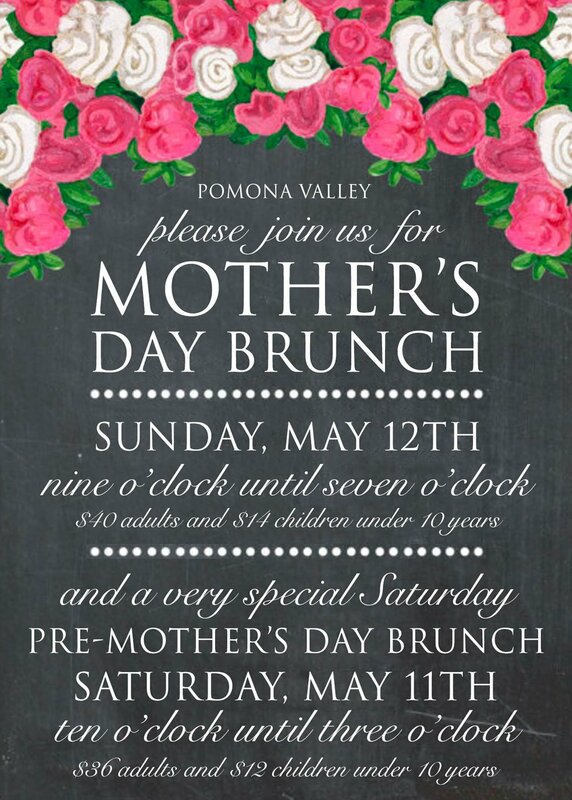 Flowers for Mom look better on our tables facing a view of the Pomona Valley, and with our incredible Sunday Mother’s Day Brunch, Mom and the rest of the family will be happy with the specially prepared selections and the quality time spent together. Please note a $6 valet charge will be required to park. 90 minute reservation time. Over 30 items to choose from!